While for some Friday the 13th marks a day to be avoided, 39 years ago on Friday, February 13, 1970, Black Sabbath released their debut album, Black Sabbath. 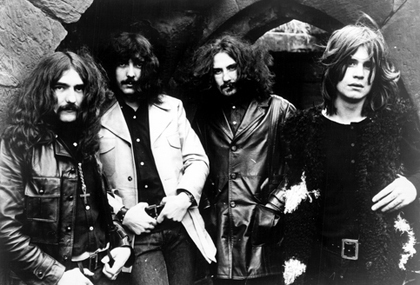 Formed in Birmingham, England by lead vocalist Ozzy Osborne, guitarist Tony Iommi, bassist Geezer Butler, & drummer Bill Ward, the band was originally known as ‘Earth’ before changing their name to Black Sabbath. Since then, Sabbath has become one of the most influential rock band’s of our time. Their gritty blend of dark and heavy blues riffs, infused with elements of psychedelia, laid the groundwork for a music that would later be coined ‘heavy metal.’ In 1971 Black Sabbath followed up with their sophmore release, Paranoid, which continues to see a steady rotation in my collection.